Tarrant Regional Water District has an entity developed to reduce litter in North Texas waterways, along our roads, and in our communities. 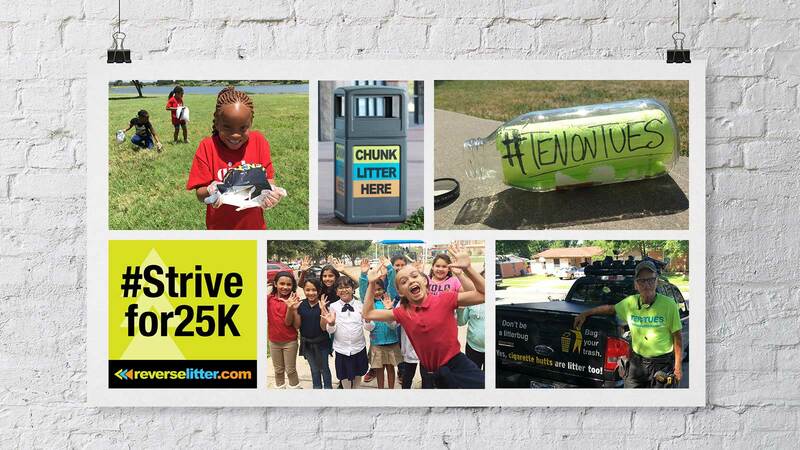 OCG+ was charged to develop and implement an integrated PR and marketing campaign that raises awareness of the Reverse Litter program and the impact of litter across the D/FW region, specifically in Dallas, Denton, and Fort Worth – all three cities that contribute to the development and advancement of Reverse Litter. OCG+ created an integrated marketing and PR campaign to encourage North Texans to make the pledge. Using Reverse Litter’s existing creative assets, OCG+ targeted active families, outdoor enthusiasts, those who are environmentally concerned and community activists.